Star(R) lighters showcase designs to play up your personality while providing you a sustained flame with every use. 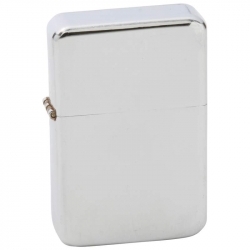 Features sleek polished chrome finish lighter and black tin case. Lighter measures 1-1/2' x 2-1/4' x 1/2'. Gift boxed. Star(R) lighters showcase designs to play up your personality while providing you a sustained flame with every use. 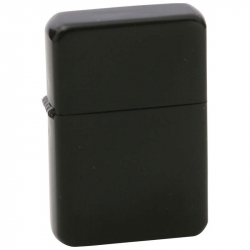 Features cool matte black finish lighter and black tin case. Lighter measures 1-1/2' x 2-1/4' x 1/2'. Gift boxed. The Embassy(TM) Genuine Leather Cigarette Case speaks of the convenience and class of a bygone era. 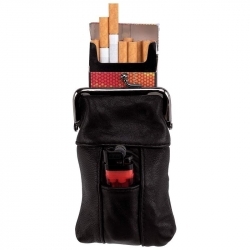 This genuine leather cigarette holder is a fashionable and organized way to keep your smokes and lighter handy. Tuck in your ID, cash, or credit card when you have to run quick errands and leave your bigger purse at home. Features secure, clip-close top and pocket to hold a lighter on the front. Measures 3-3/8' x 5-1/2' x 3/4'. 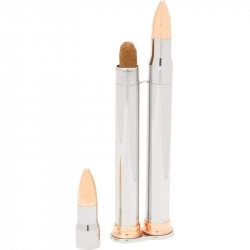 Feature polished finish; 2 cigar tubes; and copper-tone top and bottom. Measure 2-1/2' x 9-3/4'. Gift boxed.